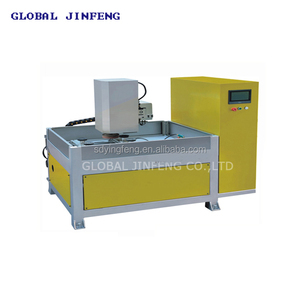 Glass beveling edging machine / 10 Motors Mirror Glass Chamfering Edging machine Machine / CE Functions: 1. Processes rectilinear glass /mirrors plates in various sizes and thicknesses; 2. The grin d ing (roughing), finishing resin and polishing can be performed simultaneously; 3. The same thickness as the glass sheet can be continuously processed, so that the machine allows having a larger volume of production lines hardening processes, rolling processes and other processing. 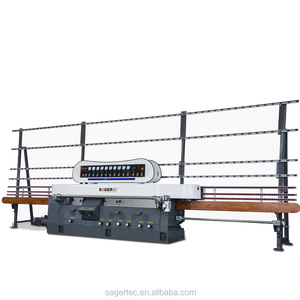 Glass size 1 5 0x1 5 0mm Glass thickness 3 - 12 mm Beveling width range 3 -35mm Beveling angle range 3&deg;-30&deg; Working height 720mm Installed power 2 3.5 kw Voltage/frequency 220/380/415/480V 50 /60 HZ Weight 35 00kg Overall size 7200 x1200x2600mm The position of grinding wheels: No. Name specification Quantity remark 1,2 Diamond wheel &Phi;150 2 3 Diamond wheel &Phi;150 1 Pencil edge 4, 5,6,7 Resin wheel &Phi;150 4 8,9,10 Felt wheel &Phi;130 3 Pneumatic polishing Brief introduction of machine: Stepless speed adjust PLC control system Manual thickness, angle adjustment, beveling width adjustment High speed inducing motor. 9 YRS Foshan Star Glass Machinery Co., Ltd.
2.technology we had concentrate on glass machine for 10 years at least,we can unlimited support you if you need. 4.certification we had passed CE certificte,also can supply other certifications if you need. 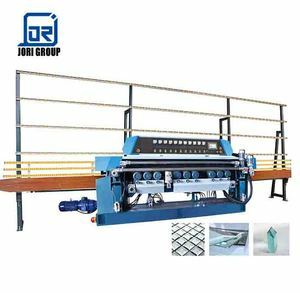 We are a professional glass machinery company for glass machine manufacturer and sales! 2007 officially changed its name to "Guangdong Fushan Glass Machinery Co., Ltd. 2016 Finished the shareholding system reform and established "Guangdong Fushan Technology Co., Ltd. We are warmly welcome clients from worldwide to visit our factory and cooperate with us. 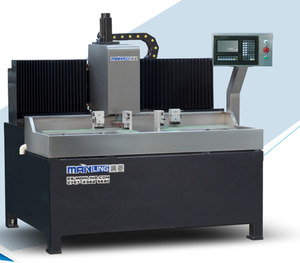 INTRODUCTION: Suitable for grinding straight edge of different size and thickness flat glass. The coarse grinding, fine grinding, chamfering and polishing can be finished at one time. 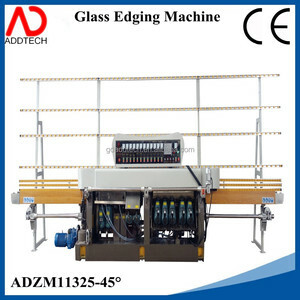 With easy operation, high precision and efficiency, this machine becomes one of indispensable equipment for glass procession. II. glass grinding machine price Product advantage of glass grinding machine price 1.mirror effect This machine is suitable for all kinds of micro - crystal composite ceramic tile, ceramic tile background wall, cabinet door glass and other processing materials, the surface of the material treated by the machine is smooth, smooth and solid. The mirror effect can be achieved at one time 2. high efficiency The feed speed and processing speed can be adjusted, the processing can achieve the predetermined effect Technical Parameter of glass grinding machine price More details of glass grinding machine price contact us Xingtai Greatcity Commercial Co. 2 building,Amethyst Tianyu Mansion, East of sanyi temple, North of Quan nan street, qiaodong district, xingtai city, hebei province,China. .
Glass Edging Polishing Machine with 45degree YD-EM-9-45 Machine application: This machine is used to process glass straight edge and 45 degree chamfer with the adjustment of angle of first 5 spindle position. The glass is widely used for glass furniture, house decoration etc. Machine specificatons: Item Specification Max. 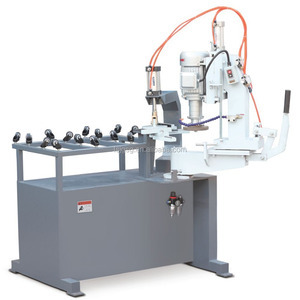 Alibaba.com offers 304 glass chamfer machine products. About 30% of these are glass processing machinery, 11% are saw blade, and 6% are abrasive tools. 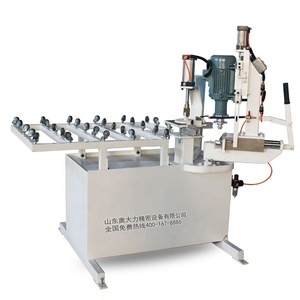 A wide variety of glass chamfer machine options are available to you, such as glass edging machine, glass beveling machine, and engraving machine / cnc router. You can also choose from free samples. There are 304 glass chamfer machine suppliers, mainly located in Asia. The top supplying country is China (Mainland), which supply 100% of glass chamfer machine respectively. 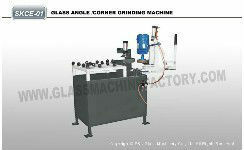 Glass chamfer machine products are most popular in Mid East, South America, and North America. You can ensure product safety by selecting from certified suppliers, including 35 with Other, 33 with ISO9001, and 5 with ISO13485 certification.